Can you stop on a bus stop in a private vehicle? Can you stop on a bus stop in a private vehicle? Only buses can stop in a bus stop. 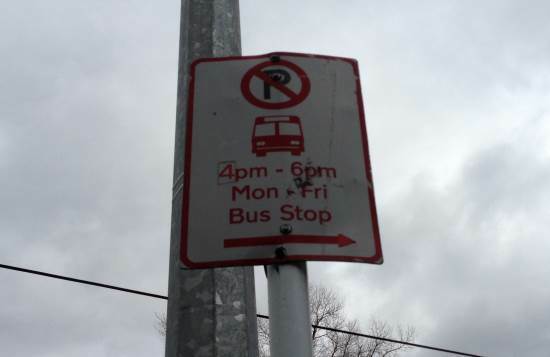 You may be fined if you stop in a bus stop. You must not stop in a bus stop in a private vehicle. Bus stops are marked with one or more bus stop signs such as the ones shown below. In busier streets, and where parking restrictions apply such as pay parking or a clearway, a marked box made with dashed yellow lines parallel to the kerb and two solid end lines defines the bus stop. If there is no marked box and only a sign, then you can't park any closer than 6 metres from the sign. Six metres gives a bus some room to pull in, and also when the bus has left and has dropped off pedestrians, the pedestrians' view up and down the road isn't compromised so much by parked vehicles. Buses can't park in a bus stop, either. They are for the temporary stopping of buses. 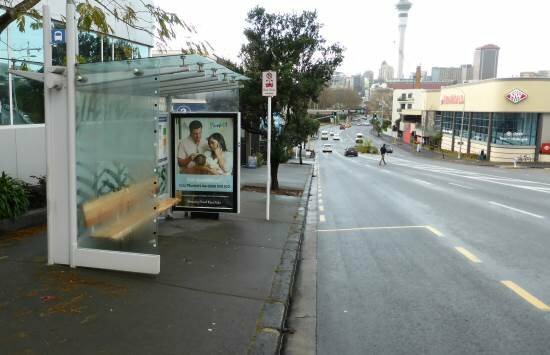 Buses can wait in a stop to adjust to their posted schedule if they are early, but the driver must not leave the bus unattended.